For centuries, the cork had to be removed in order to enjoy a glass of wine - that era is over. The Coravin C1000 is the first tool in the world to let people access, pour, and enjoy wine from a bottle – without pulling the cork. 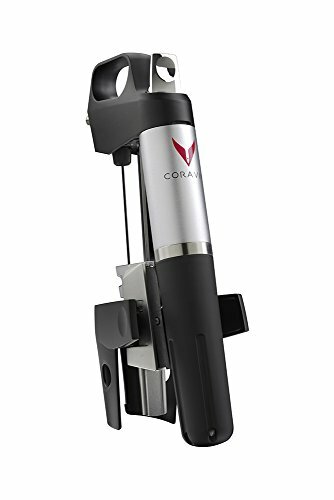 Coravin’s proprietary technology protects your wine from oxidation, by leaving the cork in place while the wine flows. Now you can enjoy your favorite and ﬁnest wines by the glass whenever you like, and feel conﬁdent that your wine will be protected until the next glass is poured. Share and enjoy the same bottle, or bottles, on multiple occasions, over weeks, months, or even longer - without wasting a drop.